The Dolfin Cyrus Spliced Blue Mens Jammers are black with a pattern of various shades of blue in a stripe down both legs. 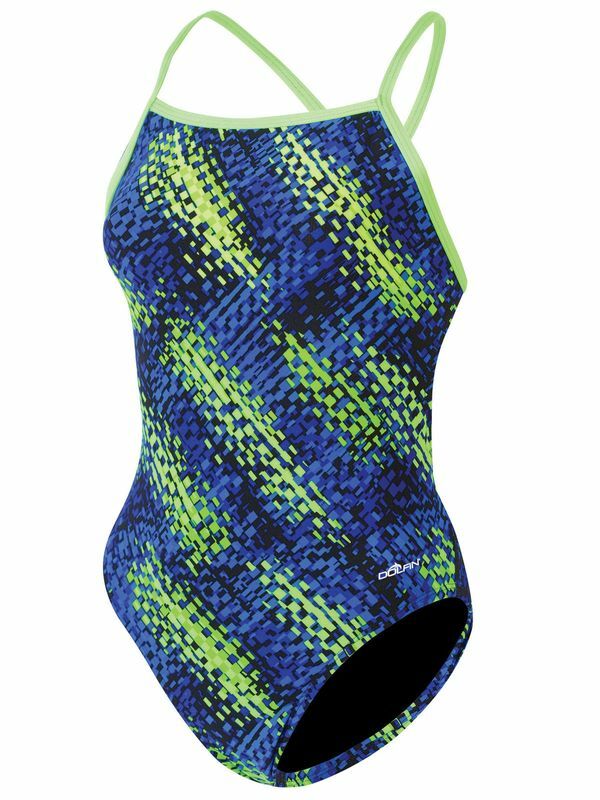 These jammers are front lined and feature the Dolfin logo on the front. These comfortable jammers are perfect for competitive or leisure swimmers. Beat your best time in these jammers.